HEY GUYS! !😍 Sorry I have been MIA,, the end of the year is always the heaviest work load. BUT I am so excited to finally get this post up! I made a holiday gift guide filled with the CUTEST gift ideas this Christmas! These are all of my favorite things/ the best gifts to give. Having trouble with gift ideas? NO PROBLEM!! Keep reading for some ideas :D 👇🏼👇🏼 1. 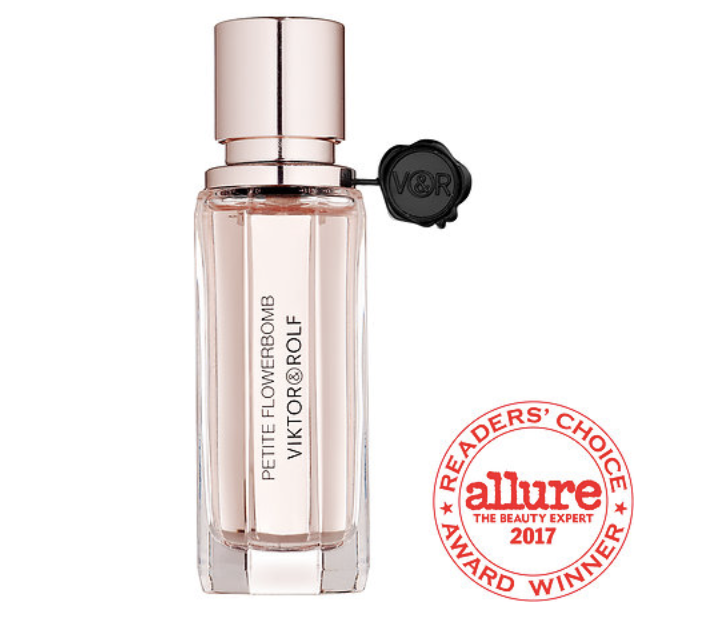 Viktor & Rolf Flowerbomb Perfume $55 LOVE LOVE LOVE this perfume.. this mini flowerbomb perfume is the best stocking stuffer! 2. Rebecca Minkoff Star Bandana $35 As many may know.. I love Rebecca Minkoff & I wear scarves with everything. They are year round & you can style them on your bags, purses, neck, wrist, etc. This cute Rebecca Minkoff Star bandana is the cutest (and cheap) holiday gift idea! 3. Rebecca Minkoff Metro Card Case $45 I love having a small wallet to carry around when I don't want to carry around a big wallet or purse,, this cute Rebecca Minkoff metro card case is perfect!! It's small, cute, and so convenient. 5. Vans Checkered Old Skool Platform $65 These are the CUTEST vans & honestly I want them myself. Perfect gift for whoever and within a reasonable price!! 6. 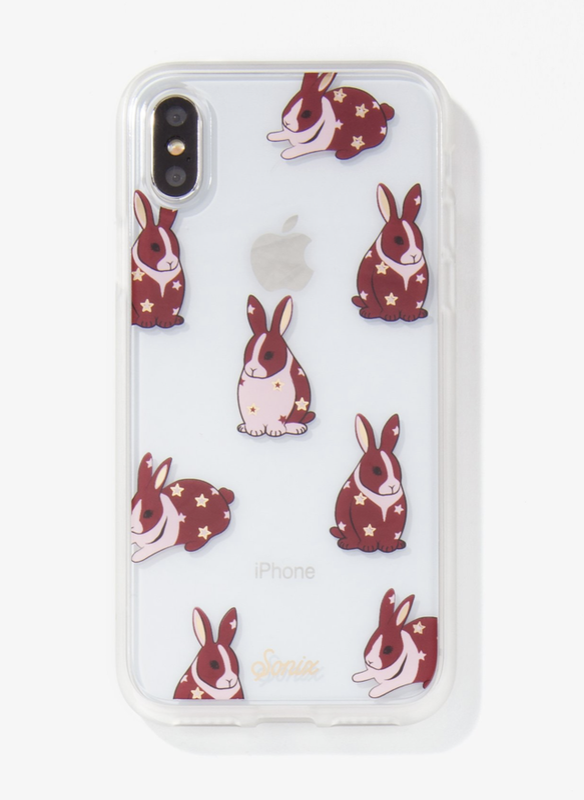 Sonix Chubby Bunny iPhone X Case $45 This phone case is seriously the cutest 😍 Such a cute little gift for your girlfriend, sister, or mom. When I saw this I obviously had to include it because why not. SO DANG CUTE!! 7. Jo Malone Perfume $65-135 I love Jo Malone perfumes!! Perfume is always a go-to for the holidays-- this is one of my favorites!! 9. OUAI Wave Spray $26 WAVE SPRAYYYY✌🏼 always a necessity. Super fun gift for the holidays cause we could all use some wave spray!! 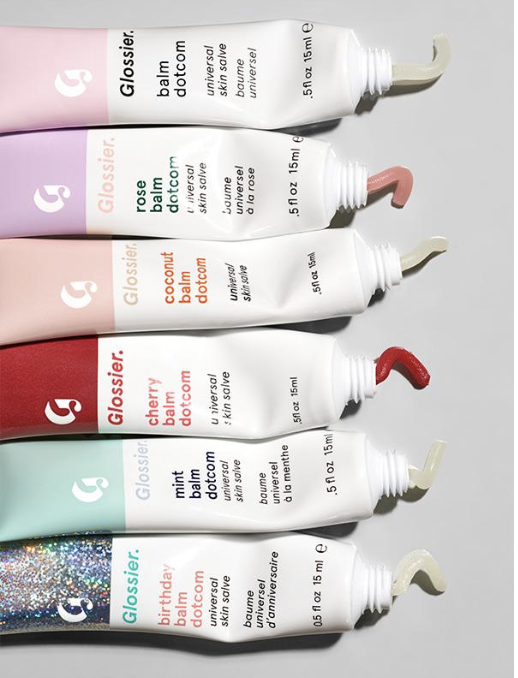 super nice brand! forget styling!!!! 10. Voluspa Maison Mini Candle Gift Set $38 I love candles, especially during Christmas!! 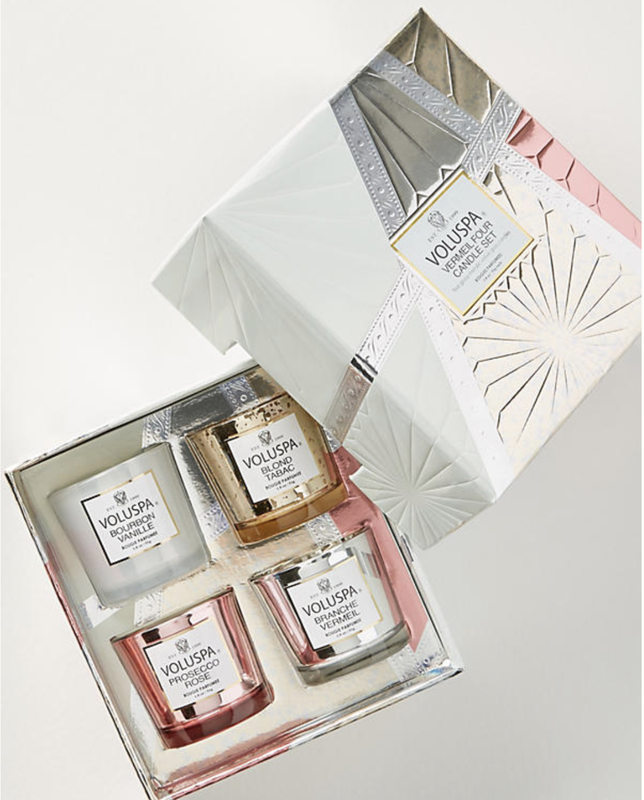 This super fun gift set from voluspa is the perfect holiday gift! !